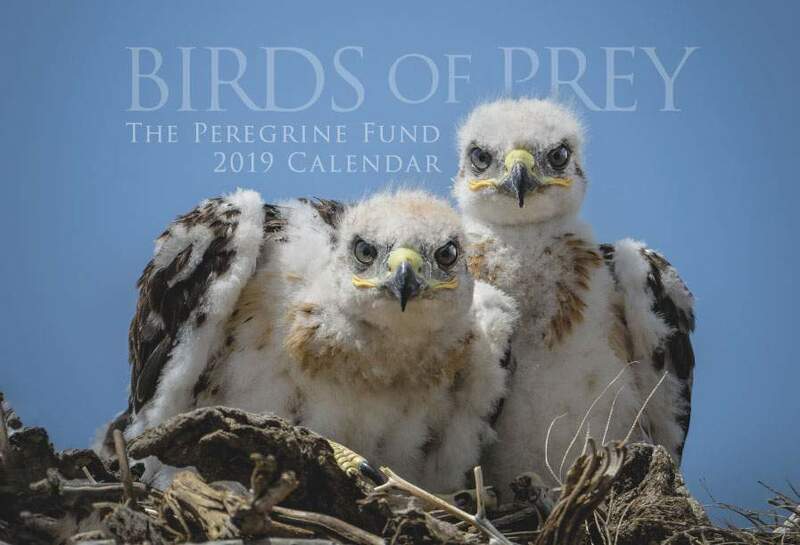 The Peregrine Fund doesn't work directly with Pygmy Eagles, but our efforts in scientific research, habitat conservation, education, and community development help conserve raptors around the world. We also supply literature to researchers from our avian research library, which helps scientists around the world gather and share important information on raptor conservation. The Pygmy Eagle is found in New Guinea and the Moluccas (also known as Maluka), which is an archipelago - or group of islands - in Indonesia. The Pygmy Eagle makes its home primarily in primary subtropical and tropical forest, cloud forest, and gallery forest - which is a forest which runs along rivers or wetlands and extend into less-forested landscapes, such as savannas or deserts. It can also sometimes be found hunting, roosting or soaring near forest edges. As you may have guessed, the Pygmy Eagle is not a large eagle. Its very name gives us clues to its relatively small size. This species comes in two color morphs - dark and light. Alll individuals have feathered legs, and a dark breast band which contrasts with a lighter-colored belly. The Pygmy Eagle can often be seen soaring above the forest, flying low over the canopy, or perching fairly high up with a clear view. For now, the Pygmy Eagle is considered to be a species of "Least Concern." This means scientists believe this species' population is stable and will likely remain so for a long time. 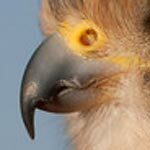 It is regarded as common and widespread throughout its range, which is good news for this eagle. However, so much remains to be learned about the Pygmy Eagle. There is a good chance it could be suffering declines in some areas due to deforestation. And, it may be facing other potential threats that scientists are still unaware of. Hopefully, someone will start studying this eagle soon, so we can learn more about it and how to protect it. 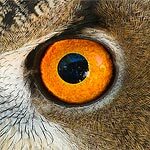 Though there is still so much to learn about the Pygmy Eagle's diet, biologists believe it is a bird hunter - taking doves and other birds from the forest canopy. One researcher confirmed at least one eagle feeding on a Mountain Fruit Dove (Ptilinopus bellus). It has also been observed attacks groups of Grey Crows (Gymnocorvus tristis). But, what else does it eat? Is it strictly a bird hunter? Will it also take mammals? Reptiles? Large insects, perhaps? Does it hunt in flight, or take prey from a perch? There are more questions than we have answers. Just as we know very little about the Pygmy Eagle's diet, we also know very little about its nesting habits. We do know it builds stick nests in the fork of a tree, sometimes in steep, rugged areas. The eggs range in color from white or bluish-white, and can be unmarked or lightly streaked and blotched with reddish-brown color. The male and female probably engage in some courtship display flights, but these haven't been well described by anyone. How many eggs do they lay? Do both the male and female help with incubation? How long do the young remain with their parents? If you were going to study the Pygmy Eagle, what other questions would you ask about the Pygmy Eagle's nesting biology, or anything else for that matter? The World Center for Birds of Prey offers fun ways to learn about raptors. Interactive activities, tours, interesting videos and a children's room with activities from coloring sheets and quizzes to costumes and a touch table are available for the curious mind. We also have several different birds of prey on display year-round, including several eagle species! Come for a visit, and get up close to a Bald Eagle, Bataleur, Ornate Hawk-eagle, and even a Harpy Eagle. Our knowledgeable staff and volunteers are on hand to answer any questions you may have about Pygmy Eagles or other raptors.